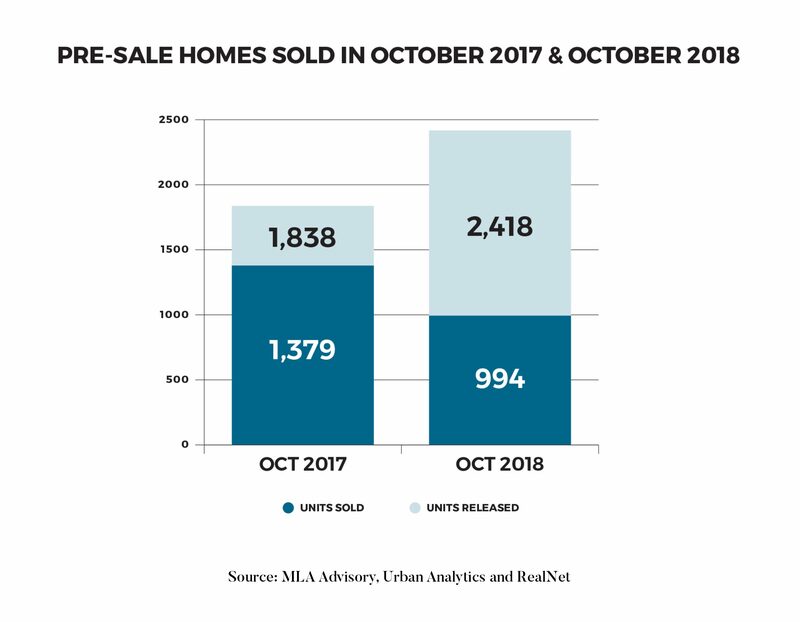 According to MLA Advisory’s November Pre-Sale Insights Report, October saw over 2,400 units come to market. Of these homes, absorption rate reached 41 per cent, making October one of the most active months of 2018 for both the number of homes released and the number of homes sold. Contributing to October’s high launch activity was the release of three concrete highrise projects which brought over 1,200 units to market. Most notably of these launches were University District by BlueSky Properties and Park George by Concord Pacific, both located in Surrey. With strong population increases and growing transit infrastructure, Surrey remains the most attractive price point for concrete tower homes along rapid transit. Echoing the previous year, October remains a busy month for Greater Vancouver’s pre-sale housing market. Last October saw over 1800 homes across 22 projects released, while this year saw over 2400 units released across 21 projects. Despite market pushback, October proved to be one of the most active months of 2018, with noticeable increase in demand for developments throughout the Fraser Valley. 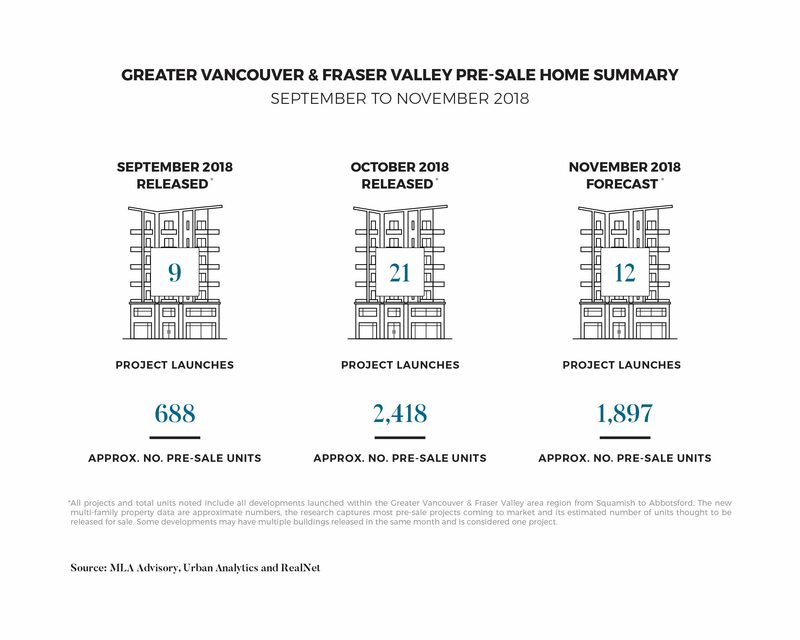 November is expected to be another busy month for pre-sales – MLA Advisory is anticipating the release of 12 projects bringing approximately 1,900 units to market. Port Moody and Richmond are expected to lead the charge by bringing over 860 homes to market, including the first out of five branded projects coming to Richmond. Click here to read the full November Pre-sale Insights Report.